Improvements in New South Wales heavy vehicle speeding have plateaued and the Roads and Maritime Services views breaking through the barrier as representing one of its biggest challenges. A breakdown of Safe-T-Cam, electronic control module and point-to-point camera data shows the volume of trucks of more than 12 tonne detected travelling above 105 km/h has fallen 79 percent since January 2011, RMS Customer and Compliance Director Peter Wells says. But the trend line has remained stubbornly level for the past 12 months. RMS is working to understand the cause of the hiatus but it has prompted Wells to agree that the easy gains may have been made. "We've thought about this quite bit along with the police," he says. "We've certainly knocked off the easiest part of it." The lack of further improvements includes the three iterations of Operation Steel, aimed at tackling defects in vehicles hauling containers. 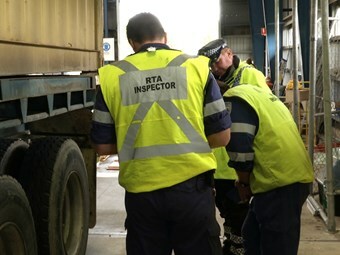 "As a result of all three operations held to date targeting the container freight industry, there continues to be evidence of non-compliance with vehicle standards and poor levels of mechanical and general safety within this sector of the industry," Wells says. The data appears to show that point-to-point programs followed by workshops and forums yielded the more positive results, while the effects of special operations, especially the flurry early last year, contributed in the short term. Despite that, RMS has an ambitious aim. "We’re going to bring it down to zero," Wells says. One recent development that concerned RMS was the appearance of reconditioned engines from the US without speed limiters. "That’s really disappointing, so we had some fairly blunt conversations with manufacturers," Wells says, adding that after some initial resistance, those involved agreed to make the engines compliant.